@jayballer73 They’ll probably do Duke as much good as Zion did. Think about the OAD’s that KU has had. I won’t mention names, but you know who they are. Have they helped us in any way? Think about the 4 year players…again I won’t name names. 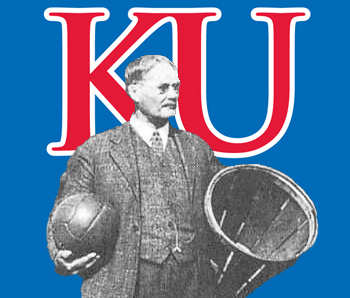 But many of them are on banners hanging in the rafters of Allen Fieldhouse. It’s not just us. I was just talking about this earlier this morning with a guy at work. Look for Gonzaga to start a downward spiral in the next few years - because - they got to where they are because of having a core of juniors and seniors that got to know each other and they played well together as a team. Now that they are starting to reach that “elite” (not blue blood) status, they will start seeing an influx of OAD’s and they will start seeing a whole lot of “L”'s pile up. Sorry this is so long-winded, but this really jumps out at me. Each team had one Freshman, Virginia had 2 sophomores and TT had three, but all the rest are Juniors and Seniors. To my limited knowledge, none of those players were players that Duke, Kentucky, UNC or any other blue bloods were really slobbering over. I don’t know - maybe it doesn’t mean anything. But it does to me. @nuleafjhawk think some of those guys transferred in? @nuleafjhawk Of the four transfers on Texas Tech’s roster, three played prominent roles as the Red Raiders knocked off Michigan State 61-51 in the Final Four on Saturday night at U.S. Bank Stadium. Fifth-year senior guard Matt Mooney, a grad transfer from South Dakota, scored a team-high 22 points in the win. Another grad transfer from St. John’s, forward Tariq Owens, came back from an ankle injury to finish with seven points, four rebounds and three blocked shots in 22 minutes. Senior guard Brandone Francis, a conventional transfer from Florida, had nine points and two assists in 25 minutes off the bench. Swingman DeShawn Corprew, a JUCO college transfer from South Plains College, played just two minutes off the bench against Michigan State but is averaging 5.3 points and 3.5 rebounds off the bench for Texas Tech.